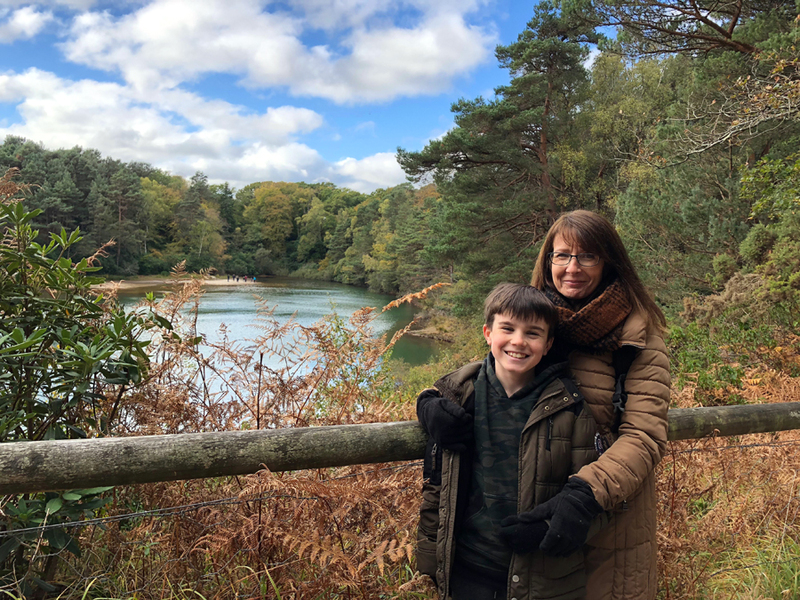 The Dorset seaside resort of Bournemouth and neighbouring Poole, boasting Europe’s largest natural harbour, offer something for everyone, regardless of age. 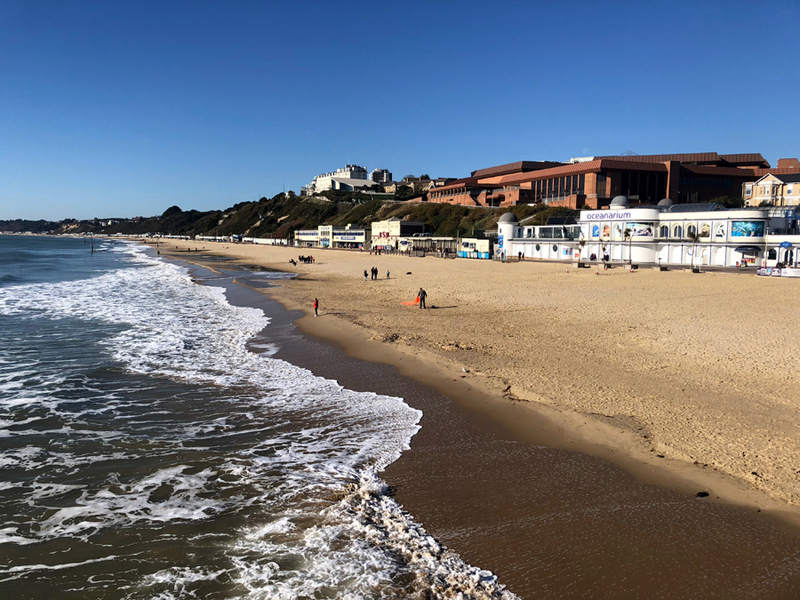 Bournemouth, voted UK’s Best Seaside Town in 2017’s British Travel Awards, is a vibrant, attractive, green town with plenty of shops, parks and seven miles of golden sand – and I mean golden! Poole, meanwhile, offers a bustling quay, cafés, bars, shops and intriguing Old Town. 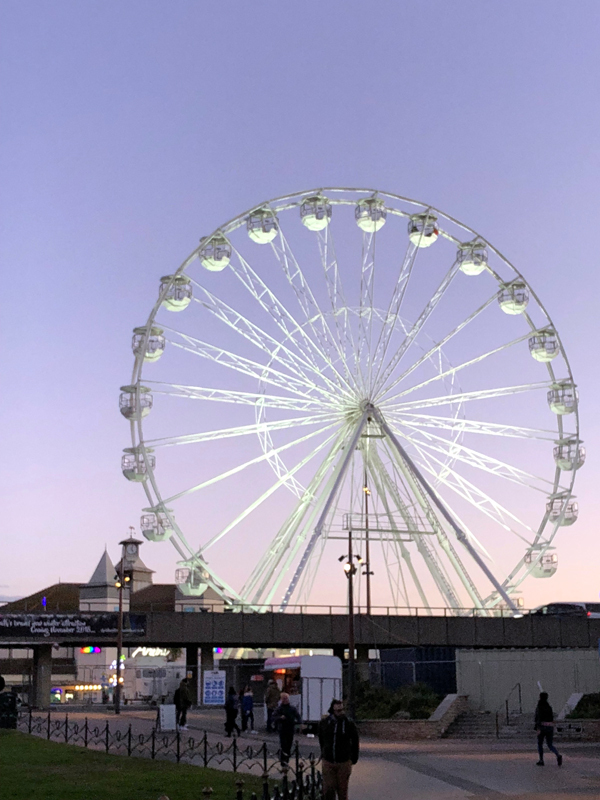 Situated next to Bournemouth Pier, the wheel stands 35m high and affords anyone riding on it fine views in all directions. With the ride lasting approximately ten minutes, there’s plenty of time to enjoy a bird’s eye view along the coast towards Sandbanks in one direction and Christchurch the other. 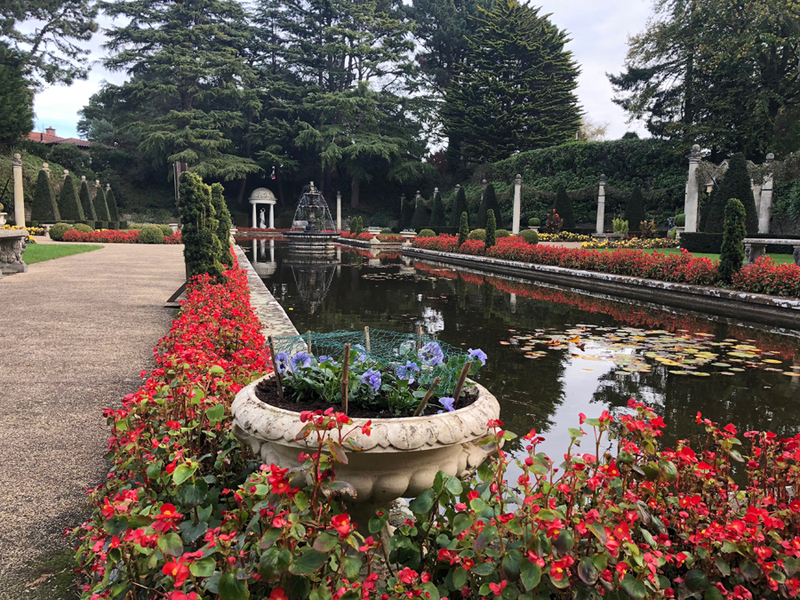 Glance inland and you gaze across the central park, just one of many wonderful green spaces found in Bournemouth. While the gondolas are protected from the elements, they’re not completely enclosed so it might be wise packing a jumper or coat if you’re planning to take a ride during winter months. However, we jumped aboard on a particularly cold October day and were fine. 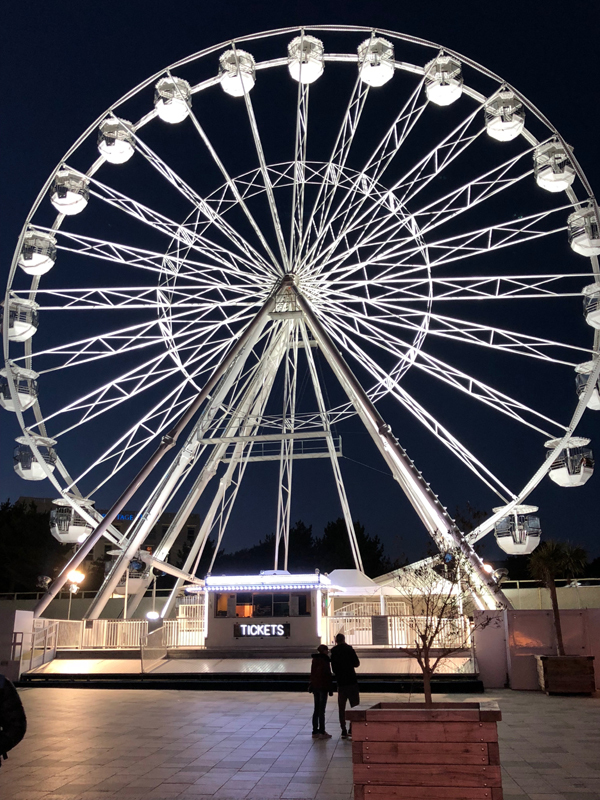 We rode during the day but the wheel stays open into the evening and is particularly attractive when illuminated at night. You can find Mr Mulligan’s at the rear of the BH2 leisure complex in the centre of town so it’s easy to reach. We weren’t quite sure what to think about the idea of an indoor adventure golf course but were pleasantly surprised. 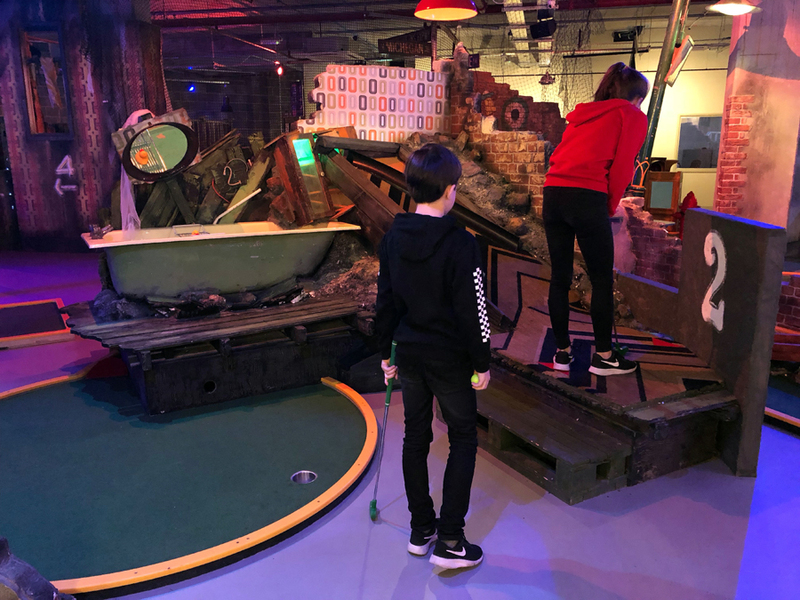 This unique concept features three indoor adventure golf courses – each with their own particular theme – set over two floors with customers selecting how many they want to sample. What we particularly appreciated is that although the holes were typically “crazy” in their design, they were all achievable. 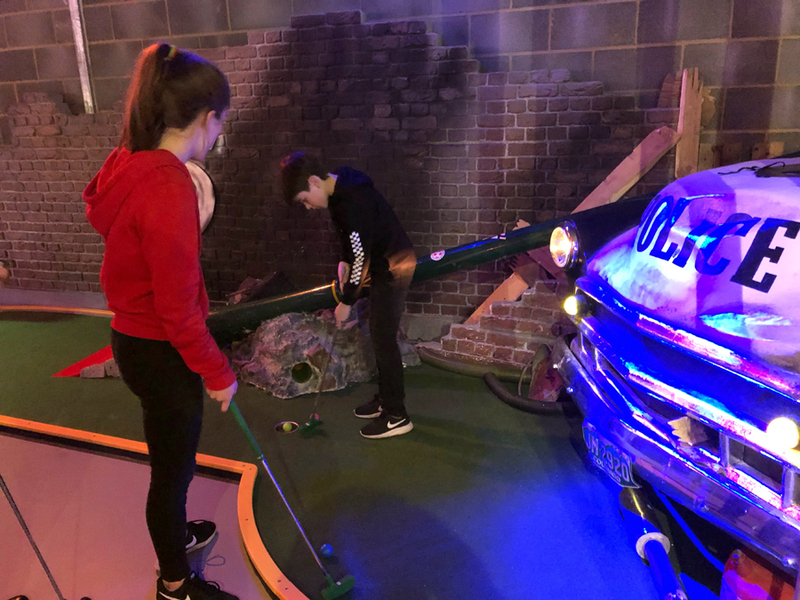 We’ve experienced some crazy golf courses where the holes are near-impossible and, with people often queuing behind you, it can be frustrating. Not here. We had great fun on all the courses where much thought has been invested into their design. The venue is open throughout the day and it’s a great all-weather attraction for kids and adults alike. 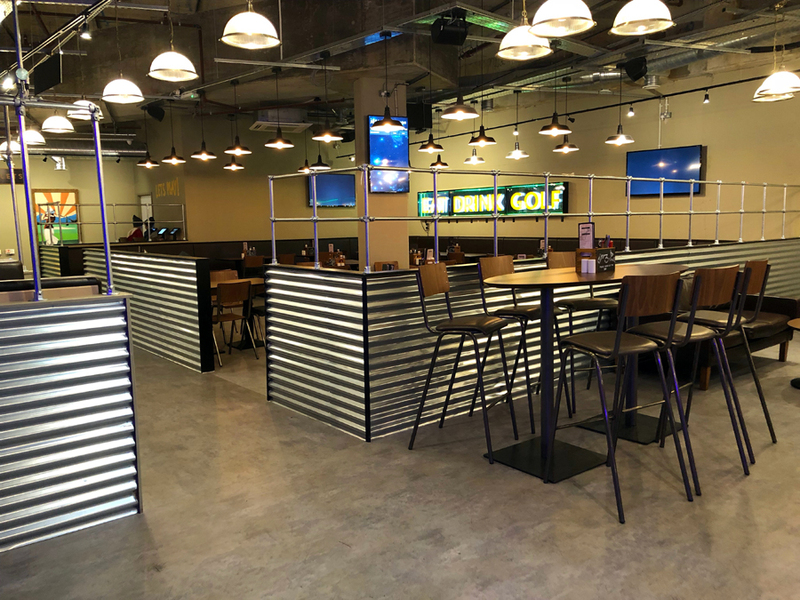 If you want to make more of your visit, there’s a licensed bar and large diner-style restaurant where you can buy meals between games or book private functions and parties. This attraction is also conveniently situated in the BH2 complex. At the time of our visit, plans were afoot to open a 30-station mega centre in the town’s Richmond Gardens. 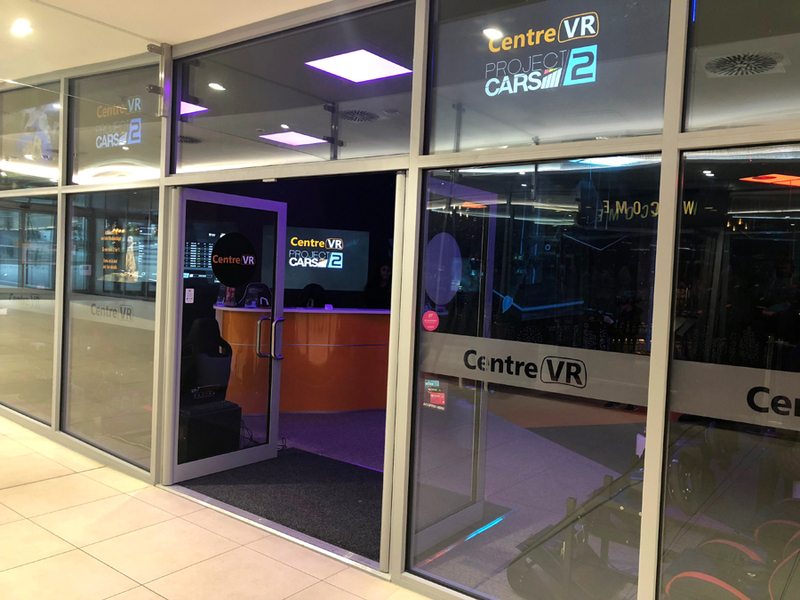 Basically, it’s all about virtual reality, a technology involving headsets with 3D vision and high quality sound affording players the chance to feel like they’re somewhere else. In VR, you’re transported to another world where you can fly a plane over a city, walk a plank hundreds of feet above the ground, drive a racing car – the list is endless. Being an avid gamer, Peter was particularly looking forward to playing because he’d always wanted to experience the virtual reality effect. On arrival, everything seemed rather surreal with a small group of people attached to hanging headsets, clearly having some kind of battle between themselves. 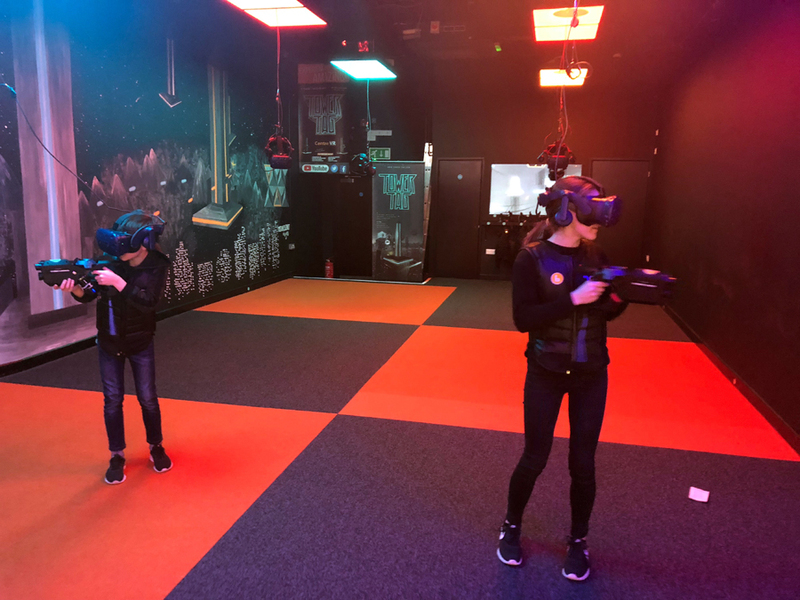 Hollie and Peter decided to play the Tower Tag shooting game while Paula and I chose to sit back, relax and watch the kids have fun – and that’s the operative word at Centre VR. After a quick demonstration, it wasn’t long before the kids got into the action and by the looks of Peter bending and lunging around the room, he really did get into it! Next was a racing car experience. We all know the rally car simulators found at the end of seaside piers, but this takes the adventure to another level. Every bump and crash (and there were many) were felt like the real thing – well, almost. Overall, Peter and Hollie thoroughly enjoyed the experience and with the large range of games to choose from there are plenty of reasons to return. This gallery and museum overlooking the sea is promoted as “one of the most fascinating historic houses in England” – and I’d agree with that statement. Just metres from the pier entrance, the property is a genuine treasure trove, with over 1,000 objects and artworks displayed. Sir Merton Russell-Cotes, mayor of Bournemouth between 1894-95, gifted the house to his very lucky wife. Today, visitors can admire myriad items which exemplify the couple’s love of art and travel. The walls of the impressive main hall, for example, are adorned with Victorian and Pre-Raphaelite artwork while each room is packed with an array of fascinating exhibits. Just ten minutes’ drive from Bournemouth, Compton Acres is a hidden gem not far from Sandbanks. Among the best privately-owned gardens in the south of England, it’s a must for any family itinerary. Founded in 1920 by an entrepreneur who made his money through manufacturing margarine, Compton Acres is set in ten acres with several viewpoints overlooking the sea. 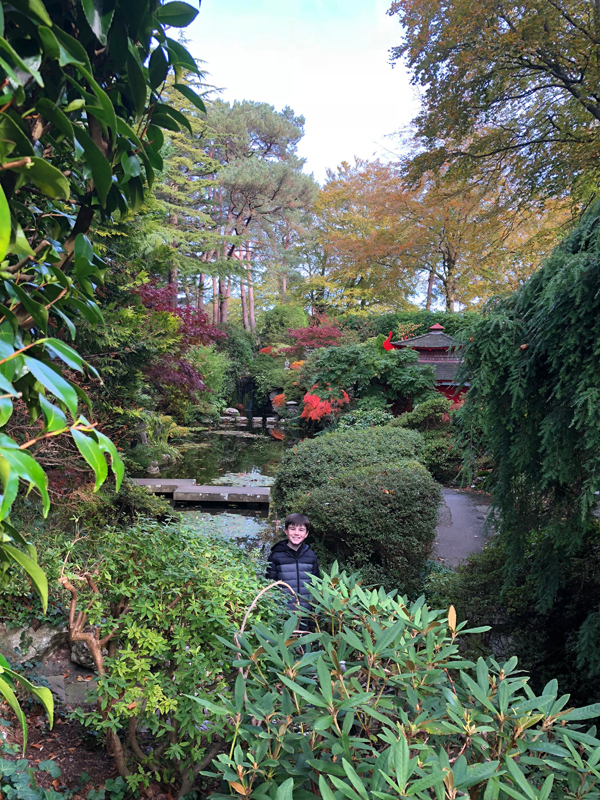 There are five separate gardens to explore: The Rock and Water, The Italian, The Japanese, The Heather and the Wooded Valley Gardens. Paths twist their way through the formal areas and woodland sections offering something new to see around every bend. The beauty of such an array of plants – and there are over 3,000 species – is that you can visit any time of year and still find lots of interest. 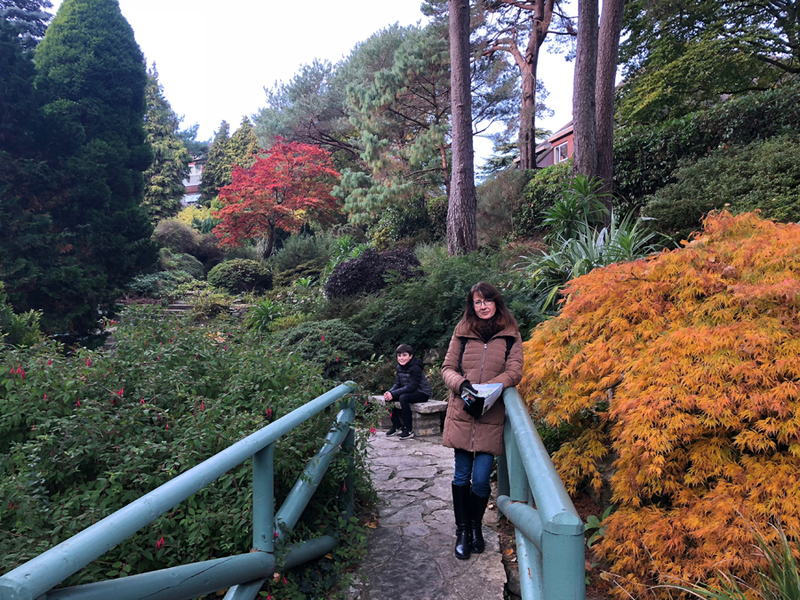 We arrived in autumn and the Japanese garden was particularly attractive with the vibrant colours of its maples and the koi carp bobbing up as we tentatively crossed the stepping stones. Once you’ve explored the gardens, there’s still more to see in the plant and gift shops, and be sure to make time for a trip to the café. Although some prices are a little high, the quality of food is excellent and extremely well presented; there are even vegan options, which is nice to see. Situated in a Victorian quayside warehouse in the Old Town area of Poole, this free attraction opened in 1989 to tell the story of Poole, its harbour and residents from pre-history to current day. A £1.3 million renovation in 2007 has improved the museum even more and it really is worth visiting. The centrepiece is the 2,000-year-old logboat unearthed in 1964 while dredging work was being conducted in Poole harbour. But across all floors there are exhibits and displays to interest all ages. Other highlights include an interactive kitchen from the 1950s, pottery discovered during excavations in Poole and, of course, the recently-opened café overlooking the harbour on the third floor – always a must on our itineraries! As well as resident exhibits, there are plenty of seasonal exhibitions and special events so keep an eye on the website. 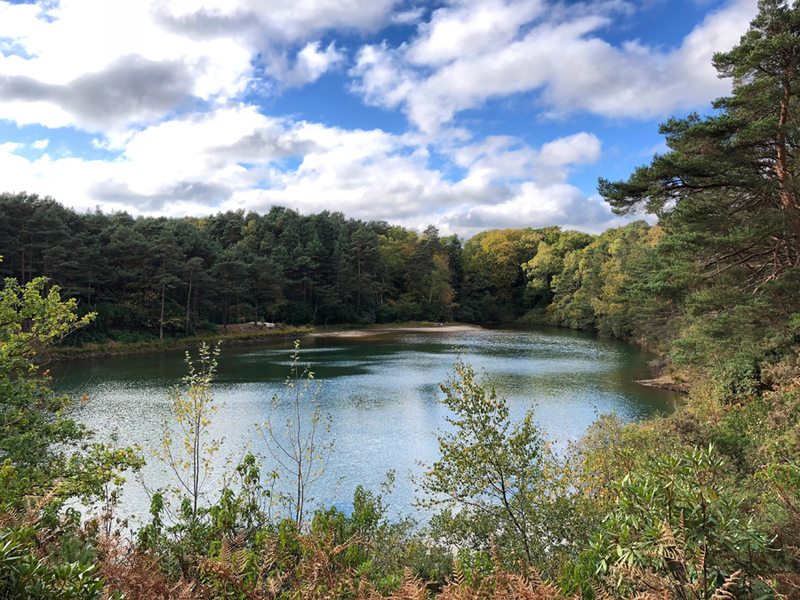 This beauty spot near Wareham is approximately 30 minutes’ drive from Bournemouth. Clay mining was prevalent in the area during the 17th Century and it’s the clay which affords the pool its beautiful turquoise colour. The site includes a museum telling the story of clay mining in the area, gift and tea shops and the Wareham Bears collection. It’s a very peaceful location where sandy paths weave around the pool and through surrounding woodland. Two different routes make it accessible to all while benches dotted around allow visitors time to sit and relax. The Collingwood is one of those rare hotels where as soon as you walk in the door, you know everything is going to work out just fine. Its location is just one of this family-run hotel’s main selling points. Just a short stroll downhill brings you to either the sea front or Bournemouth’s main shopping area. The décor is, by and large, smart and contemporary. The hotel boasts a swimming pool, gym, snooker table, table tennis, table football, restaurant and good-sized lounge where evening entertainment takes place. Bookings can be made on a B&B or half-board basis.